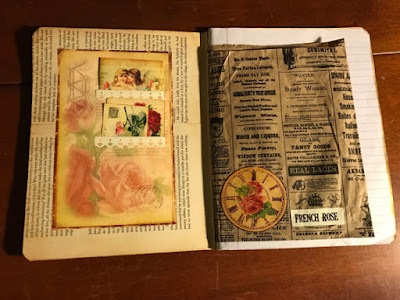 I just shared my newest Ephemera's Vintage Garden Design Team project over at www.vintagejunkjournals.com. 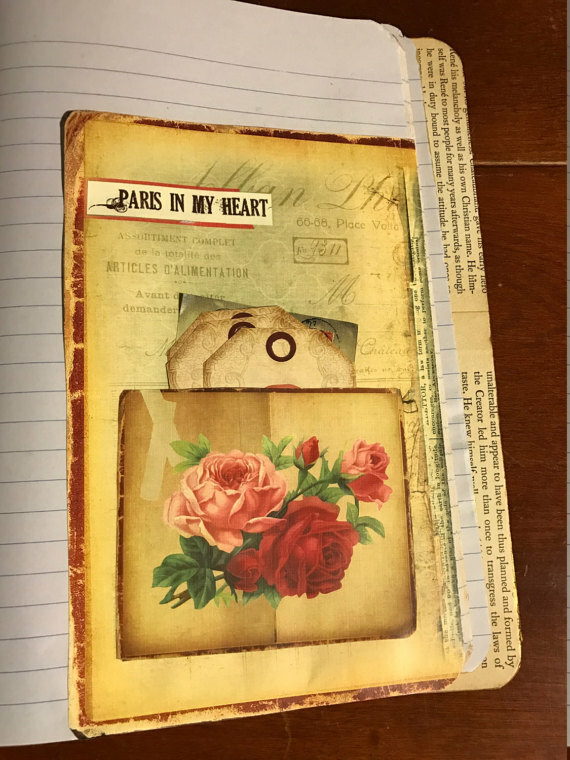 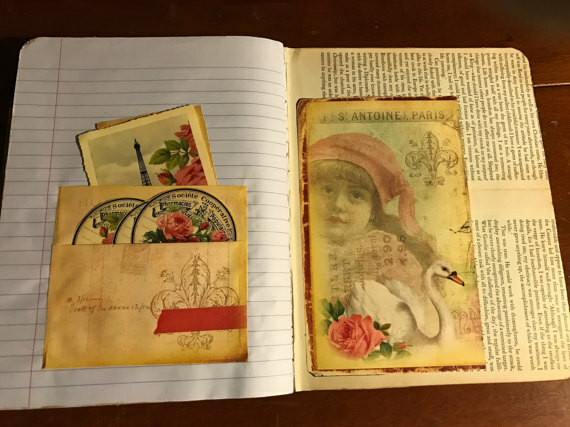 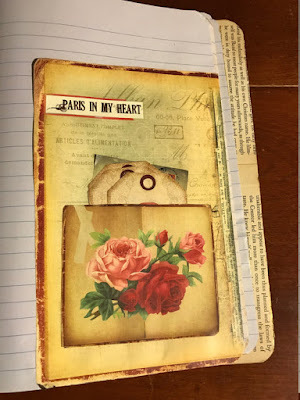 I'm pretty pleased with it- last month I made that very elaborate Traveler's Notebook with Paris n My Heart and this month I decided to show a simpler way to use the digital download. 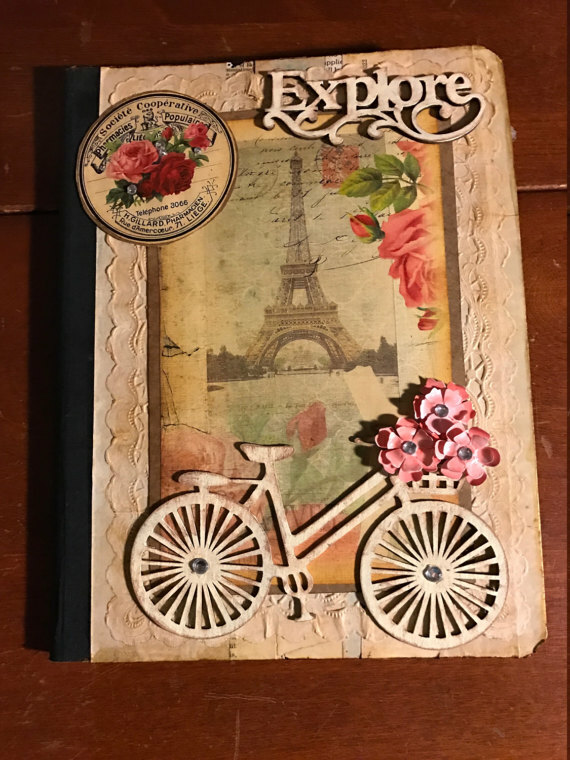 I simply embellished a composition notebook from Dollar Tree.